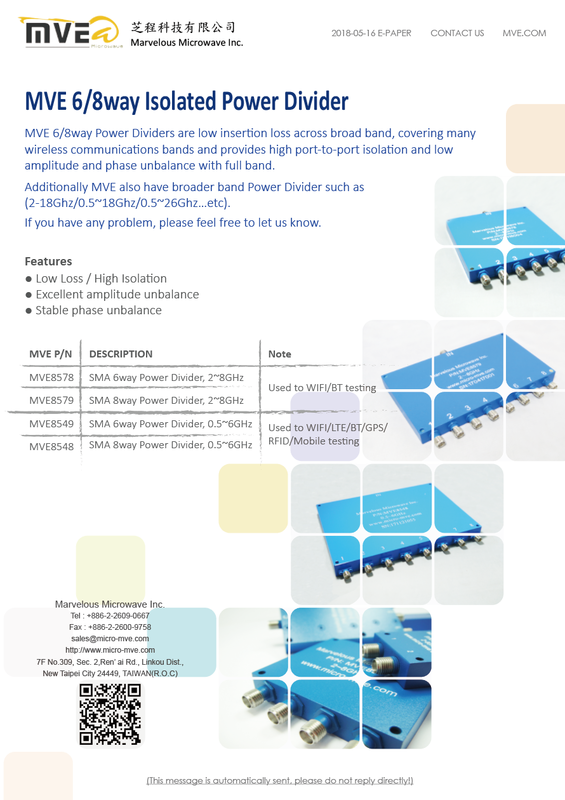 MVE 6/8way Power Dividers are low insertion loss across broad band, covering many wireless communications bands and provides high port-to-port isolation and low amplitude and phase unbalance with full band. 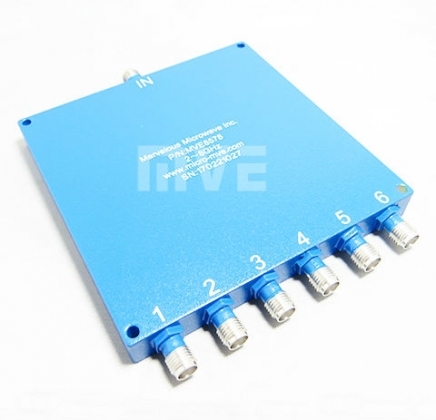 Additionally MVE also have broader band Power Divider such as (2-18Ghz/0.5~18Ghz/0.5~26Ghz…etc). 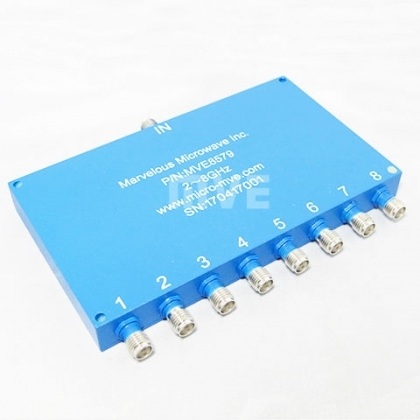 If you have any problem, please feel free to let us know.